Virtual Reality is on the rise which has prompted a new trend of homemade 3D viewers that are starting to surface as more and more people experiment with VR. This particularly fun instructables project was made by a guy named Jay Kent who owns and operates a Leather & Fine Arts shop in Tampa, Florida. He took a cardboard Dodocase headset (which is a branded version of the open-source effort by Google to get virtual reality into the hands of makers around the world), and made it his own. 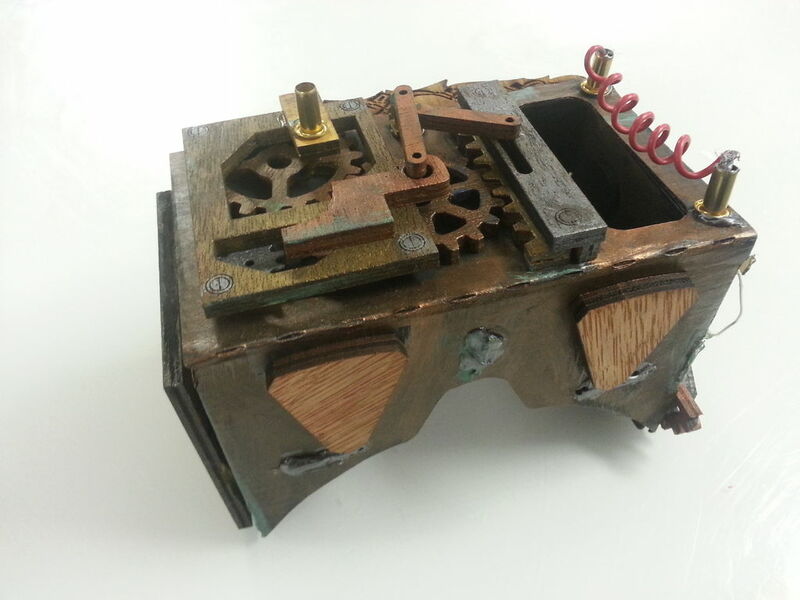 With the cardboard VR headset ready to go, Kent decided it would be great to modify it with a unique Steampunk-style centering around something that would look like it was invented on the fly, which is partly what the Steampunk culture is all about. A collection of gears, bit, bobs, doohickies, and a variety of other miscellaneous metal pieces were rounded up. With a little bit of preparation and planning, the outer design was created. The trick was to make everything fit together and didn’t cover up the front flip-down area where the phone would go. 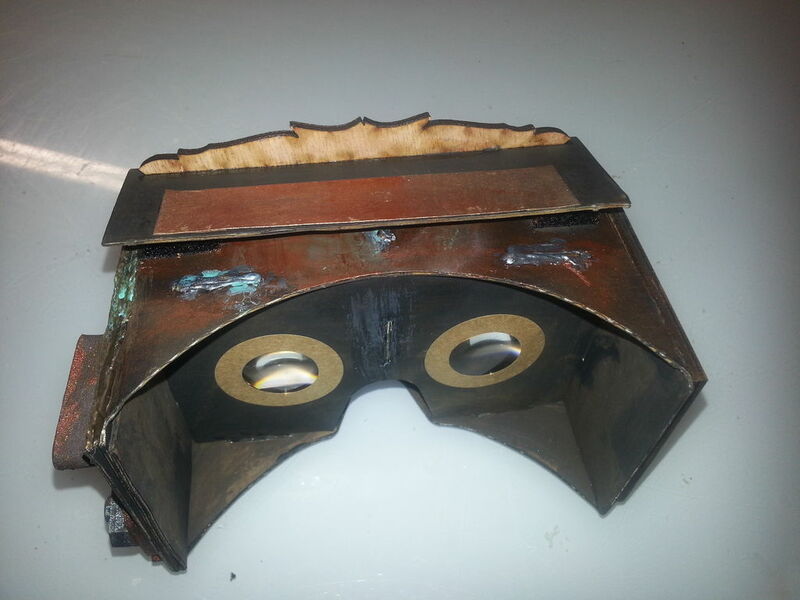 Being that cardboard virtual reality headsets like this required a smartphone to be inserted, it was critical to leave that functionality in tact while sprucing up the outside of the viewer. Thin pieces of wood were then laser cut into interconnecting gears that were hot glued to the edges of the cardboard frame after primer and paint was applied. Just enough material was added to coat the outside while making sure not to turn to cardboard into a wet, saturated pulp. Once the pieces were added and painted up, the headset was smoothed out and embellished to make it more polished while at the same time giving it a rustic, old Victorian look. This unique headset is sure to gather up attention as it ventures out into the growing VR community. Step-by-step instructions are available online posted in the link above, meaning that anyone can take this initial design and recreate it with their own innovative style. Soon additional people will create their custom versions of virtual reality headset, so be on the lookout for more projects like this emerge as the new VR culture takes off like a wildfire! If you do fashion together your own version, be sure to link to it in the comments section below so the world can see what you have made.